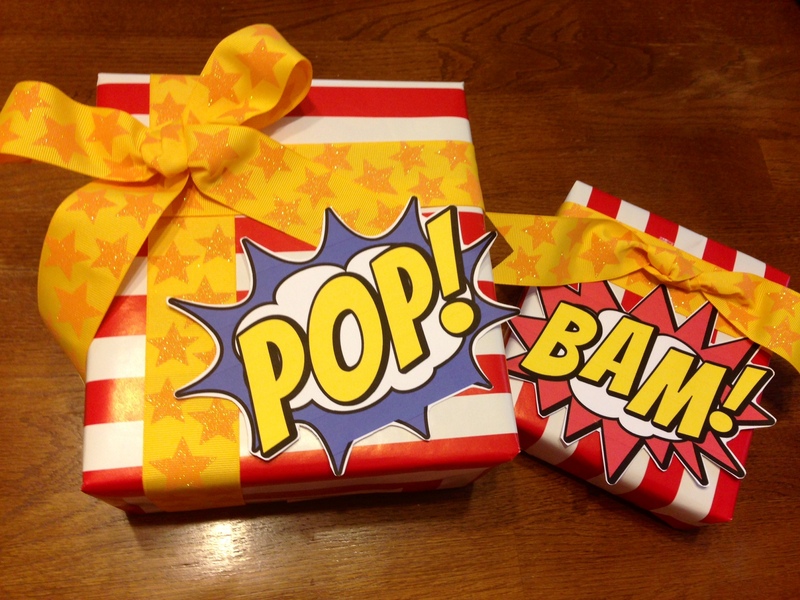 I still had some red and white striped wrapping paper left over from our Cat in the Hat Party – and luckily it can also look very superhero-y with the right accents! After printing and cutting the printable out, I started to play around with how I would decorate the presents. While shopping at A.C. Moore, I stumbled upon this yellow ribbon with stars – and it just screamed Justice League to me! 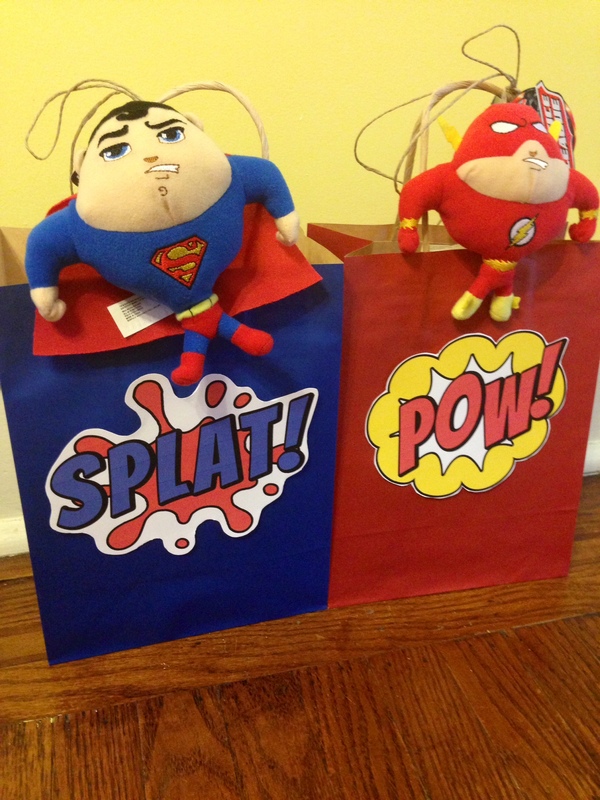 In order to tie the whole gift together and make it easier for my little three year old to carry the gifts, I put the presents in gift bags, used the last two words on the printable, and tied on small inexpensive superhero dolls we found at Target. 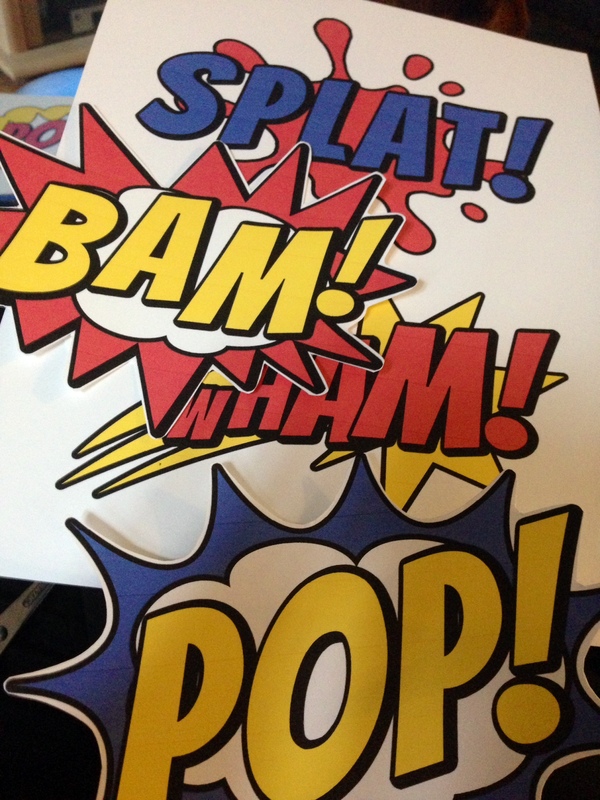 My little Superhero – ready for the party! 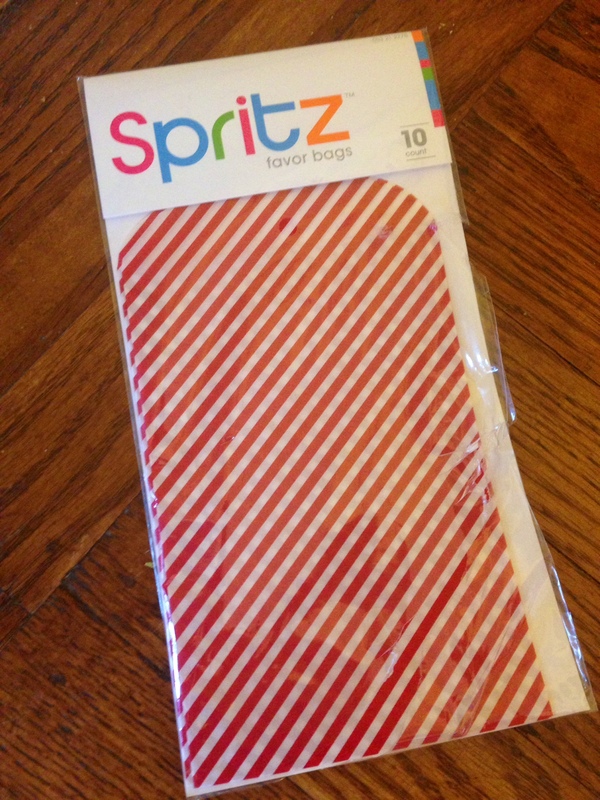 Ok – so a small note about the Spritz red and white striped candy bags (purchased at Target): they might have been the best purchase of the summer! 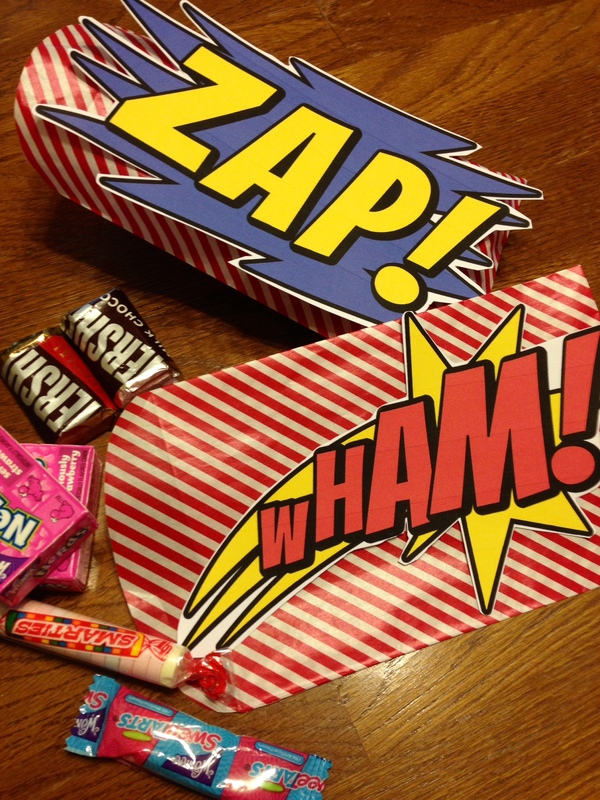 First, I used them at our Cat in the Hat Party, then for these Superhero gifts, and once again for 4th of July! I have two left …watch out – I will think of some way to use them!